I've read a fair number of Yukio Mishima's novels, but After the Banquet is the first, in my experience, to deal with something so quotidien and unwashed as politics. For this reason, it was a welcome surprise for while I am a committed and long-term Mishima fan, I do acknowledge that sometimes his books can be rather too similar to one another. That said, I think I prefer his frequent forays into the messy marriage of spiritual and sexual obsession to the mingling of half-hearted sexual interest with politics. After the Banquet (1960; translated by Donald Keene) tells the story of the unlikely union of Kazu and Noguchi, a vibrant middle-aged proprietress of a restaurant frequented by politicians and an aging former ambassador who decides to run for election on the Radical ticket. There are no sweaty and fraught sexual encounters as the cover of this edition of the novel suggestions, and as often occur in Mishima's other novels; there couldn't be really. For while Kazu is bursting with energy, it isn't really a sexual energy; and Nogushi is somewhat of an ancient piece of parchment in this regard. Indeed, this failure to accept, comprehend, and integrate him into her larger political plans - which are ostensibly made and executed entirely on his behalf - results not only in political failure in the end but also marital failure. This is not to say that Noguchi is not complicit in his loss of the election or the disintegration of his marriage; on the contrary, both characters are equally incapable of seeing each other's differences in approach and philosophical outlook as anything but stumbling blocks to either success or any kind of contentment, never mind active happiness. Indeed, Kazu and Noguchi are remarkably similar insofar as neither are truly capable of seeing other people as entirely real. Only their individual ambitions and motivations exist beyond the theoretical for either of them, and they are thus doomed, from the beginning, to end up precisely where they began - both literally and emotionally - in insulated worlds of their own creation and for their own comfort, lonely though they may be. All the elements of a good Mishima-esque novelistic devastation of the mind and soul are here, but everything is curiously lacking in pathos and energy - often, even, when Kazu's energy is being described in detail. 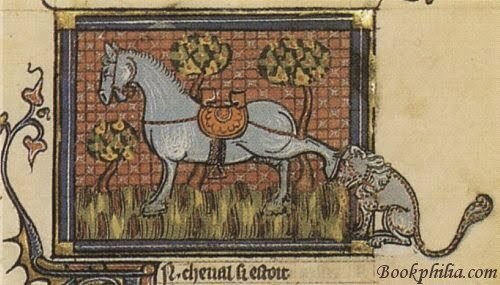 Ennui, rather, is the dominant mode not only of the characters' lives and choices but also of the narration itself; as the result, the entire tale comes off as curiously flat. 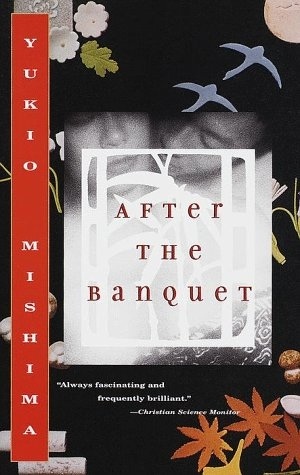 In the end, After the Banquet is a fairly enjoyable novel but not a memorable one. Maybe not his most memorable but it still sounds pretty good. I read one of his books of short stories a few years ago and really liked them. I must get myself around to reading his novels. I'm thinking of giving Mishima Yukio's books a go this year and was thinking of Spring Snow. What would you recommend to start with (I don't think I'm quite ready for a book about politics)? mel u: That's one of my favourites, except for the disturbing bit with the kitten. Tony: I find the political stuff MUCH more satisfying and engaging in Trollope's novels than I did in After the Banquet. I suspect it's because Trollope had a more than simply cerebral interest in them himself. Stefanie: Was it Acts of Worship? That book is AMAZING! yes, yes, that was it! It was pretty amazing. a good many of the stories left me breathless. Stefanie: Me too! I should really re-read that one.